We target free listings, featured articles and critical reviews in local, regional and national media. 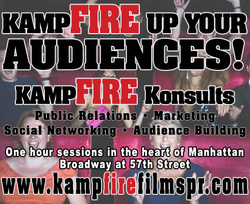 FIRE up your Audiences with a special offer from KampFIRE PR! Let us help you hone your outreach and ensure you are targeting and reaching the proper audiences. Contact Katie today!